San Diego Zoo Safari Park provides the unique charm of getting surrounded by thousands of beautiful butterflies all around. It is a different world of international gathering because you are encircled by species from all the regions of the world – North and South America, Africa, Southeast Asia, Europe, New Zealand, Australia, Caribbean, Colombia, India and more. You can’t forget your childhood habit of chasing butterflies, but always missing to catch them when your hand just inches away from the lovely large wings. 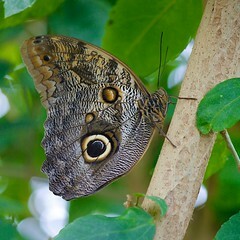 You will find it difficult to even dream of being so close to the butterflies in amazing numbers. That is what San Diego Zoo Safari Park brings you every year as something different to make thousands of visitors enjoy the hypnotic experience called Butterfly Jungle. The annual spring season event in this year is planned from 16th March to 07th April. Like every year in the past, park authorities have made elaborate arrangement for your comfortable accommodation and food. If pinning butterflies is your hobby, you will love Instagram photo contest and Pinterest contest for special indulgence in these creatures. The participation in contest is open to all and if you feel interested just check at San Diego Zoo Safari Park website and gather up things you need. Within park, the hidden natural habitat of butterflies is no longer a secret for you. In the park, you will come in close contact of Monarch, Belus Swallowtail, Pink Rose Swallowtail and others belonging to 30 species of butterflies. Thousands of these lovely insects choose San Diego Zoo Safari Park as their address not just out of natural habit. You may not know the long drawn efforts given by keepers of the park shipping in different species of pupae in large numbers from different places and growing them. Preparation begins right from hatching thousands of butterfly pupae in the aviary. The next initiative is raising plants they feed on. Fragrance is the best enticements for butterflies, specially the sweet fragrance of alyssum, lavender and lilac. Another lure is nectar for feeding the emerged butterflies to keep within the park. It is not an easy task; some species feed only on specific variety of plants. 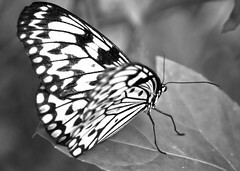 Children specially understand the role of butterflies in sustaining the ecosystem as great contributors to pollination. It is going to be an incredible experience of encountering with nature. Perhaps San Diego Zoo Safari Park exclusively stands out in the splendid show of nature. This entry was posted in Uncategorized and tagged attractions, Balboa Park, beach, California, Coronado California, downtown San Diego, Gaslamp Quarter San Diego, Hotels, San Diego, san diego botanical garden, san diego nature, san diego vacations, San Diego Zoo, SeaWorld. Bookmark the permalink.